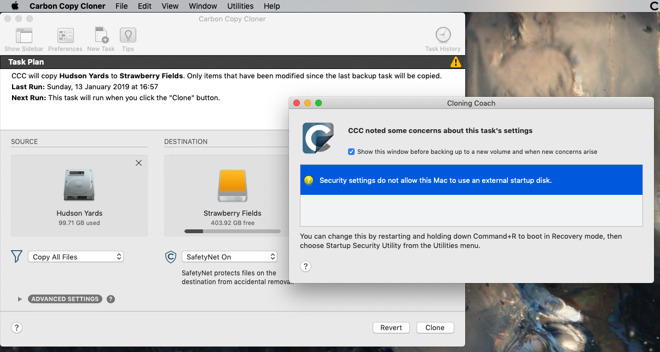 Apple’s security processor gets in the way when you’re trying to use external drives to boot from. Fix this now because if you wait until you need to restart from one, you’ll have problems. The T2 chip that Apple has been adding to new Macs does many things to help your computer be more secure —but one of them is an issue. 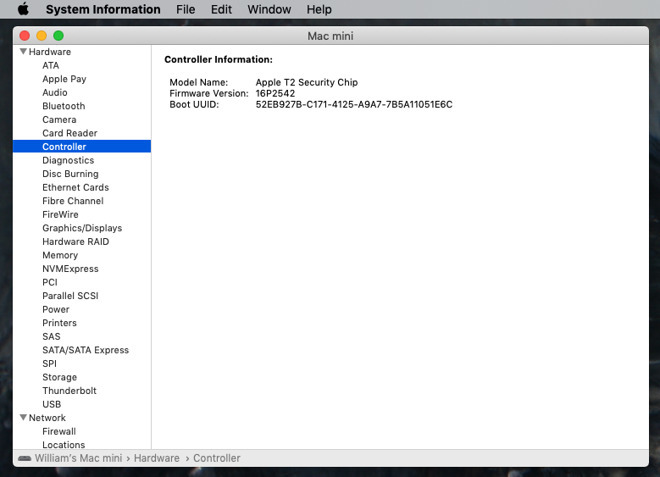 By default, Macs with the T2 processor will not boot from an external drive. That’s fine, that’s even good, but it’s an inconvenience when you want to do it. Then if the reason you want to boot from an external drive is a catastrophic failure of your internal one, it’s a problem. Apple doesn’t see it like that. The company believes we all have great online connections all the time and so the official advice would be to boot from the recovery partition over the internet. Even if you can definitely do that, it’s a help for troubleshooting problems. If what you really need is to carry on working, then you will have created a clone of your troublesome drive yet will not be able to boot from it. Then just to double down on how this good security system can also be a pain, there’s the issue of the keyboard. 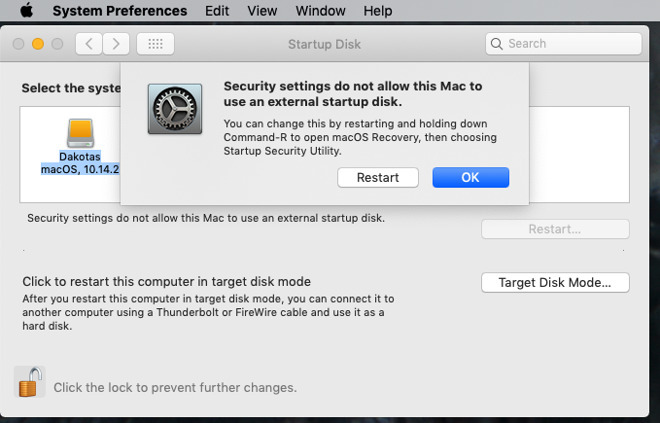 To convince your Mac to boot from an external drive, you have to first restart into macOS Recovery and that requires you to hold down Command-R as the machine boots. Only, if you have a wireless keyboard, the restarting Mac may not recognize it. Truly, if you’re booting from an external then it’s to solve some problem, not to find others. So take a minute to fix this now, before you have to. If, for any reason, you’re not sure whether the Mac in front of you has the T2 processor, you can check through System Information. Hold down the Option key as you select the Apple menu and where you normally see About this Mac, you’ll see System Information. You will get the same information if you’re using an app such as Carbon Copy Cloner. This utility lets you automatically create a bootable copy of your current drive so that in the event of any problems, you can simply swap straight over. Ordinarily Carbon Copy Cloner will tell you that the new cloned drive will be bootable, but with T2’s default settings, it can’t. This is particularly significant because there are other reasons why a cloned drive may not be bootable. Apps like Carbon Copy Cloner may not be able to tell you that there’s a problem because it only sees that the T2 is preventing booting. So you could be regularly creating a clone drive and only find that it doesn’t work when you need it. You don’t want any of the options on the the Recover screen. Instead, choose the Utilities menu and click on Startup Security Utility. 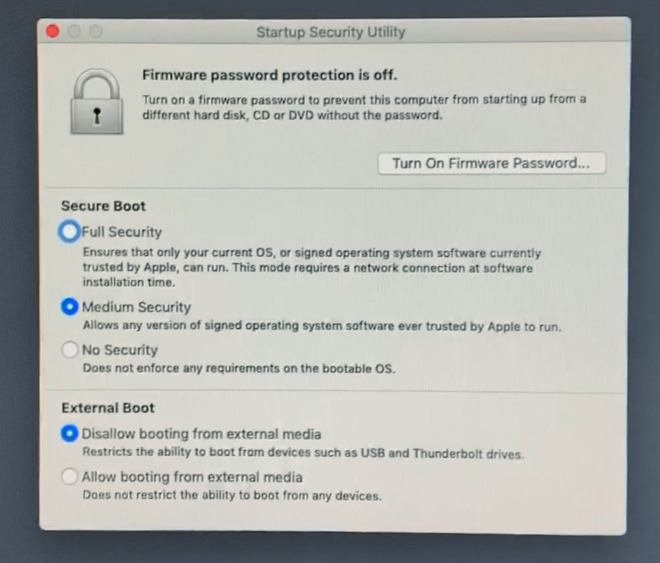 You’ll have to enter your password to launch it, but then when you do, you’re presented with three types of option to do with firmware passwords, secure boot —and lastly, External Boot. Choose Allow, then quit the utility. You’re taken back to the macOS Recovery window. Click the red close button at top left and lastly you’ll be asked about restarting. Click on Choose Startup Disk and then pick any bootable drive you’ve got attached. The Mac will restart and it will boot from that drive. 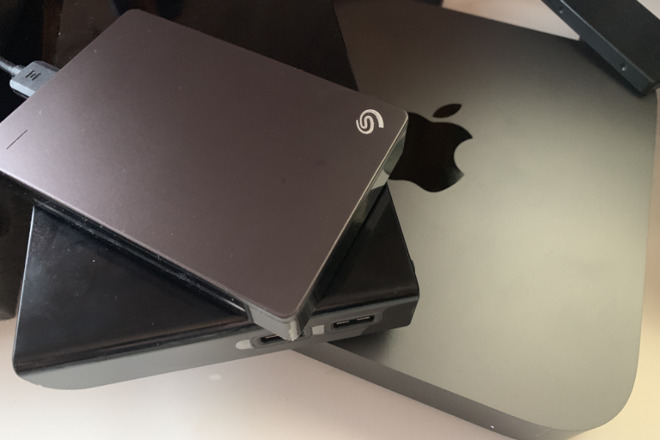 It will now boot from any drive you connect over USB or Thunderbolt so you can keep an emergency clone ready to go at any time. Now you’ve done all this, take the time to create a backup that regularly maintains a clone of your bootable drive.